In-form Market Rasen Town Under 17s reached the semi-finals of the MidLincs NCS Cup with a fine win at North Lindum Hawks on Sunday. On a run of good form, Rasen travelled to Lincoln with high hopes of avenging the league defeat earlier in the season. After playing the better football for the first 20 minutes, Rasen finally went ahead through Liam Korytnickyj’s well-taken penalty. But having taken the lead, Town sat back and allowed the Hawks to play their football and were lucky to go in at the break level at 1-1. The half-time team talk seemed to do the job as Rasen came out and dominated the second period. Two more goals from Korytnickyj put the tie out of reach for the Hawks, but Edward Harper-Smith was named player-of-the-match for a strong box-to-box midfield performance. “We were disappointed to let them back in the game in the first half,” said manager Brian Inman. “We had control of the game and made it more difficult than it should have been. The draw will take place this week and the last four tie will be played on Sunday, April 22. Town U17s’ next league game is at Rase Park on Sunday when Lincoln United will be the visitors. Kick-off is 10.45am. * Market Rasen U16s hoped for payback against Welton on Sunday after a 4-2 home defeat earlier in the season. Rasen started the brighter, pressuring the opposition early on, and twice went close. But Welton scored first when a long kick upfield from their keeper caused panic in the Rasen area and their striker was knocked it home. But Rasen had the majority of possession and were playing the better passing football, and soon equalised after a fine move down the left from Dan Bailey who carried on to score himself. Welton restored their lead when the Rasen defence again failed to clear another long ball over the top. The ball was hacked across their own area, and fell to the Welton striker who placed a finish into the net. Again Rasen came back through Bailey down the left, finishing for his 15th goal of the season. Welton struck again to make it 3-2 10 minutes before the break, but Rasen dug in and their pressure on Welton’s defence forced a mistake and an own goal to make it 3-3 at half-time. Rasen remained dominant at the start of the second half, but again Welton struck from a long ball, and soon added a fifth from the penalty spot. The Rasen lads dug deep once more and Timmi Temmison chased down Eric Blair’s through ball to make it 5-4. Temmison pulled another effort just wide and a couple more chances cleared the bar as another Rasen goal seemed to be coming. But another mix-up in Rasen’s defence again let Welton in to score their sixth and put the game out of Rasen’s reach. 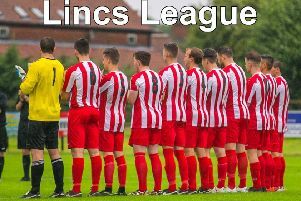 Town’s next game is at North Lindum Hawks United on Sunday, April 8.